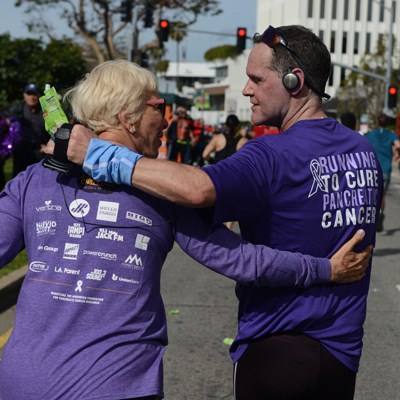 If you are looking for a shorter distance, sign up for The LA Marathon Charity Challenge! The Charity Challenge Starts at Sunset Blvd. at Orange Grove Ave. in Hollywood, runs alongside the full marathon runners for about 13.1 miles and finishes at the main finishline of the Los Angeles Marathon at Ocean Ave. and California Ave. in Santa Monica. 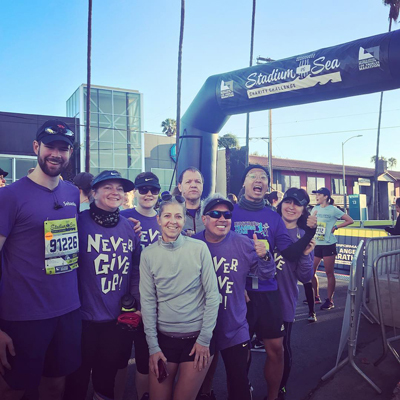 The LA Marathon Charity Challenge is ONLY available through Official Charities of The Los Angeles Marathon. *The LAM Charity Challenge if not measured or timed as a half marathon and cannot be used for an official qualifying time for another event. 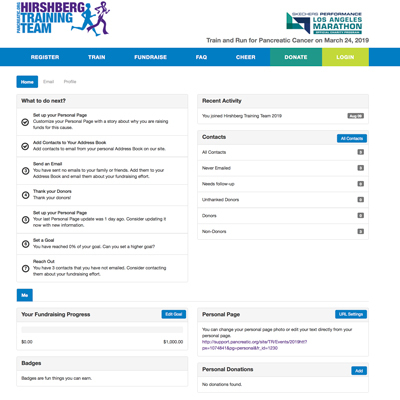 By joining the Hirshberg Training Team, you are making a commitment to fund cancer research and increase awareness. And we, in turn, make a commitment to you by providing training to help you achieve your fitness goals. We support your fundraising efforts with ideas, tools and suggestions and, we promise you an experience you will never forget. Training and fundraising support, coaching tips, team stats and countdown to race day! Your very own personal fundraising website to track donations, send fundraising emails, thank you notes and more. The opportunity to dedicate your efforts in honor of or in memory of someone affected by pancreatic cancer. 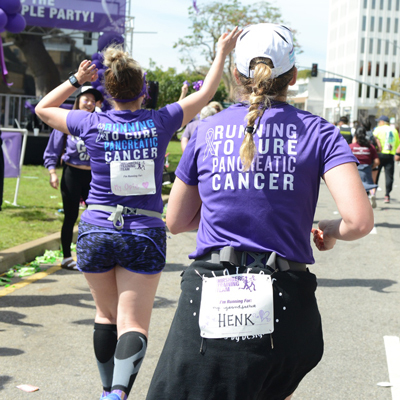 We provide purple running bibs to wear on your back in support of them. 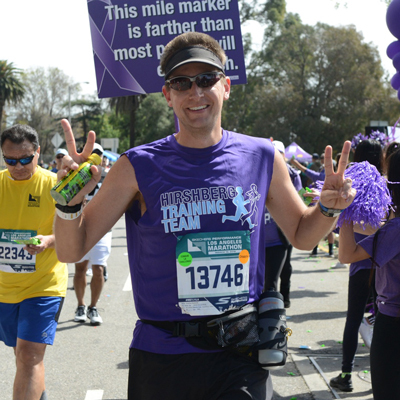 Your commitment to the Hirshberg Training Team includes entry into the LA Marathon. 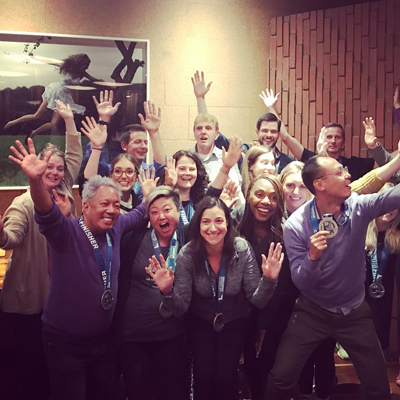 Come experience the 34th Los Angeles Marathon with the Hirshberg Training Team. 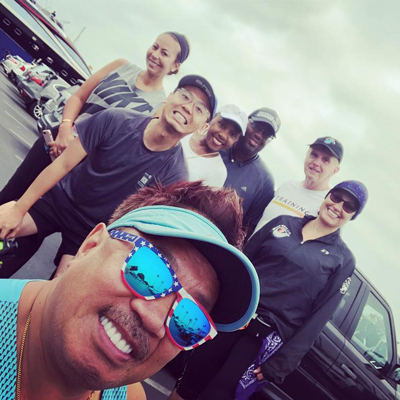 The point-to-point stadium course starts at Dodger Stadium and finishes in Santa Monica and will highlight iconic sites across greater Los Angeles. To learn more about the LA Marathon, go to LAMarathon.com.